Until I travelled to an unexplored part of Kerala this monsoon, I had no idea what it meant to call a river “alive”. I was joining a group of photographers on a journey along the state’s second longest river, the Bharathappuzha – poetically called River Nila – and in my mind, I imagined traveling along its shores, hearing it gushing in the rain, capturing its ferocity in words and photos, and maybe an early morning dip in its refreshing waters. That’s what rivers signify, right? At first glimpse, the River Nila makes your heart cry. I can imagine it was once an intensely magnificent body of water, but due to rampant sand mining from its banks, excessive construction of dams and increasing agricultural demands, the river has become parched and bushy. A dying river, some say. Life along the rice paddies of Kerala. Because despite its environmental degradation, River Nila is still very much alive in the hearts of the locals who have grown up on its shores. It has for thousands of years, inspired poetry, ancient performing arts, traditional crafts, soulful music and storytelling. Away from the famous backwaters of Alleppey and the tea plantations of Munnar, I took an Indigo flight to Coimbatore and journeyed through the districts of Palakkad, Thrissur and Malappuram, discovering a different face of Kerala – one who’s cultural lifeline is River Nila. A moment of solitude in the hills of Neeliyampathy. The boys prepping their bamboo instruments. At the edge of a little farming village, as the golden light of the setting sun flooded the rice paddies, we gathered in awe to watch the Vayali Folklore Group perform everything from regional folk music to Celine Deon’s “my heart will go on” – entirely with bamboo instruments! The story goes like this: a group of friends from small villages across the Thrissur district of Kerala decided to come together to revive the tribal folk music along the River Nila. In their everyday lives, they work as carpenters and local radio jockeys, but music is their passion. Their folk music got them an invite to perform in Japan, where they drew inspiration from a Japanese bamboo music group – and upon returning home, researched on Youtube and experimented with creating their own bamboo instruments! Why bamboo? Because it’s such an intrinsic part of their culture; the poor man’s tree, they called it. Thus was born their bamboo music orchestra – with self-made bamboo instruments to play both folk and contemporary music. One of the coolest fusion bands I’ve seen yet. Follow the Vayali Folklore Group on Facebook to keep tab of their upcoming concerts. Crossing local fishermen on River Tirur. It is one thing to be a tourist on a houseboat in the busy backwaters of Allepey; quite another to explore the pristine waters of Tirur and Nila rivers on the open, wooden boat of an ex-sand smuggler. We sailed along ancient mangroves and under old river bridges, local fishermen welcomed us with wide smiles, and we ended up at an estuary where the rivers meet the Arabian Sea. An ex-sand smuggler’s boat, you ask? The backstory is that sand smuggling is the primary cause of River Nila’s environmental degradation. So The Blue Yonder came up with the ingenious idea of hiring some sand smugglers, their boats and their stories, for adventurous travellers who want a secluded glimpse of life along Kerala’s majestic waterways. The only way to cruise on the Tirur and Nila on an ex-sand smuggler’s boat is to arrange it via The Blue Yonder. Solo and stunning – Nangiar Koothu by a 14-year-old. Calling yourself a storyteller has become trendy in the writing/blogging world these days, but if you ask me, the truly exceptional storytellers were performing artists in the days of yore, who could communicate more with their facial expressions than we ever do with our words. After watching a 14-year-old girl narrate an episode of the epic Ramayana in the Nangiar Koothu, a folk art performed solo, that consists of 9 facial expressions, 14 hand gestures and distinct eye movements derived from a 2nd century treatise on theatre, I was compelled to scrap ‘days of yore’ from my line of thinking. Koothu is still a right of passage in the Chakkiar community of Kerala, though in recent years, the art form has opened up to other communities (like the young Brahmin girl we saw perform) and seen the inclusion of women again (nangiar=woman). Its caste restrictions and religious undertones left me somewhat conflicted, but viewing it purely as art, sure left me in awe. Nearly all Koothu artists train at Kalamandalam, the residential school of folk art on the banks of the River Nila in Kerala’s Thrissur district. They offer a guided tour for a glimpse of what goes on behind-the-scenes of these intense art forms. A night full of drama – shadow puppetry. On a late night, we found ourselves in the home of Ramachandra Pulavar, Kerala’s only remaining shadow puppeteer, whose family has practiced the art (locally known as Tholpaava Koothu) for nearly 400 years. I watched in fascination as the dark room lit up with flames and gracefully moving and talking figures, illustrating stories from the Tamil version of Ramayana. Legend has it that shadow puppetry began in temples on the banks of the River Nila, on the request of the goddess Kali, who wanted to be entertained. While most puppeteers have given up the ritual because they couldn’t make it work financially, Ramachandra and his troop of 20 local artisans continue to perform in the temples over 4 months every year – as well as outside the temples on an international stage. Some of the deer skin puppets they use are atleast 800 years old, and the art itself is believed to have begun in the year 807. Although puppetry makes most Indians nostalgic of their childhood, it gave me as much joy to watch as an adult. Shadow puppetry is performed as a ritual in 80+ temples in Kerala’s Malappuram, Thrissur and Palakkad districts, along the shores of River Nila. The local version of Rangoli at our homestay. I’ve stayed in my fair share of traditional houses across India, but Kerala is different. Most heritage houses dating back 300-400 years were built to endure, and have a unique charm; think large complexes with slanting tiled roofs, extensive use of exotic teak and jackfruit wood, sun-drenched bathing tanks for morning rituals, and several rooms with magnificent old doors that have survived the test of time. I loved staying at Koderi Mana, the home of a warm host couple full of incredible stories of life in the region, with a treehouse at the edge of the vast rice paddies! I also enjoyed the more independent, storybook kind of living in what was once the granary of the 300-year-old Olappamana Mana. Koderi Mana is located in the village of Tirunaavaya, in Kerala’s Malappuram district; the hosts only accept bookings through The Blue Yonder. Olappamana Mana is located in Vellinezhi (Palakkad), and is the home of the most popular form of Kathakali. A metal (not glass) mirror! I’m not really a crafts connoisseur, but as MP Krishnakumar, Kerala’s only bell metal artist, pulled out a flaming alloy of copper and tin from 2000 degrees heat with tongs, but no gloves on his hands and not a frown on his sweating face, something moved in me. Single-handedly, he is keeping alive the craft of Adakkaputhoor Kannadi – a unique metal (not glass) mirror. It all began with Krishnakumar’s father, the village blacksmith, who was approached by an art connoisseur over 40 years ago, with the challenge of creating something similar to the famed Aranmula metal mirrors. After months of experimentation, without ever having seen the Aranmula mirrors, he came up with his own formula and process – and his son continues his legacy. As I looked at my reflection in the polished metal mirror after observing a small part of the laborious process, it struck me just how little we appreciate the artisans of India. MP Krishnakumar’s bell-metal workshop is located in the village of Vellinezhy. Orders for bell metal mirrors can be made with him directly, and the products can be shipped overseas. Sometimes when I close my eyes and think of that night, I can still see Bhima ripping out Dushasana’s heart and insides. Bhima’s hands and long finger nails are covered in the blood he drank, and his eyes look triumphant. A more moving depiction of the epic Mahabharata than I’ve seen on television, with live music and drums; while I don’t care much for the epic itself, the performance tugged at every part of my heart. If you find yourself in Kerala, do yourself a favor and spare 2-3 hours for a Kathakali drama even if you’re not familiar with the epics in Indian mythology; it might just be the most moving art-form you’ll ever see. The most popular form of Kathakali – Kalluvazhi Chitta – originated at Olappamana Mana in Vellinezhy, over 150 years ago; what better place to watch it than its original home? If only I could eat my screen – Ramaserri idlis. Idlis – what’s the big deal? Well, unlike most idlis we’ve eaten, Ramasseri Idlis are artistically flat in shape, big in size, and pack in quite a flavor – and there’s a hole-in-the-wall joint in Kerala’s Palakkad district called “Sree Saraswathy Tea Stall”, that still serves them. We arrived hungry for breakfast, and watching Bhagyalakshmi, the lady-entrepreneur whip up the batter with a secret recipe and steam it over inverted pots on an open fire, sure whet my appetite. They say that Bhagyalakshmi’s husband’s ancestors, who moved here from Tamil Nadu, discovered the secret recipe and it became their only source to fight poverty. 100+ years later, she is still running the show in her humble kitchen, and people come from far and wide to try her famous idlis! Sree Saraswathy Tea Stall is located 5 km away from Ramasseri village in Kerala’s Palakkad district. Show up early, because the Ramasseri idlis often get sold out before 9 am! Imagine, your eyes are closed and the silence around is slowly broken by percussion sounds, that grow to a hundred drums in sync (the traditional artform of Panchavadyam)… and when you open your eyes, the first thing you notice are the intent faces of kids as young as 8 years, thoroughly enjoying the music they are creating! Meeting Santosh Allamgode, who has established a music school to revive Kerala’s traditional instruments and music, was an eye-opener. His mission is simple: to break the social barriers of caste and religion in music, and offer children a chance to connect with art, and through it, themselves. The school is run by volunteers, and their ultimate dream is to create a music university for those who want to seriously pursue percussion music. Santhosh Alamkode runs the Sopanam School of Panchavadyam; they offer 3-month courses for music enthusiasts visiting Kerala. Laughter and hardwork – the man who (indirectly) keeps Kathakali alive. It is one thing to watch a Kathakali performance, quite another to meet the only wood craftsman in Kerala (and the world) who still handmakes Kathakali accessories. On a rainy day, we holed up in his room-sized workshop, amazed by how light the head gear of a Kathakali performer weighs and how intricately it is carved. “It’s in my heart,” he said and laughed. Kothavil Ramankutty’s home and workshop are located in the famous Kathakali village of Vellinezhy, but as you can imagine, his time is really valuable! If you are interested in meeting him, please arrange an appointment through The Blue Yonder. While waiting at the local village temple after a long, intense day of meeting local artists along the Bharathappuzha, the vibe of the evening suddenly changed. Out of nowhere, appeared a man, thin to the bones, wearing nothing but a flimsy loincloth, long entangled hair falling over his shoulders, his eyes red and turned upwards as though communicating with some higher being. He muttered incoherent words, broke out into a laugh (or a cry), jolted his body and walked around the small village temple as though he was being led by an invisible force. Fifteen or so minutes later, he walked out of the temple, accepting offerings and blessing worshipers who stood around enchanted, and as mysteriously as he came, disappeared into the dark of the night. The oracles are the “chosen” ones, and though not exactly possessed, they are believed to be a manifestation of the goddess Kali, relating messages from her to mere mortals. Most local temples in Kerala have an oracle and ceremonies are held often. 10,108 lamps at a temple ceremony in Kerala. Flights: The airports closest to valley of River Nila are Coimbatore (Tamil Nadu), Cochin and Calicut, depending on where you start your journey. Visas (if you are traveling internationally): India now offers a 30-day e-visa to citizens of 100+ countries, including the US, UK, Canada, Australia and Sri Lanka. You can apply on the Indian government website, or through iVisa, which takes care of everything for you. Ensure that our visits are respectful and encouraging. Compensate the artisans for the time they spend sharing their stories and knowledge – acquired after years of hardwork – with us. Celebrating and financially compensating them for their time enables them to pursue their lifestyle with dignity. Choose a travel company or local guide who understands these values. For that reason, I highly recommend organizing your visits (or your entire trip) with The Blue Yonder, who’s founder Gopi grew up in the region, and has created innovative ways to help keep the traditions of the River Nila alive. The essence of these experiences is likely to be lost if you seek them out independently, without in-depth knowledge of the regional culture. To put it into perspective, nearly 50% of my co-travellers on this Blue Yonder trip were locals from other parts of Kerala! There are no recycling facilities in the districts of the River Nila as yet. Please minimize your plastic trash, refill your water bottles at the homestays, say no to plastic bags and bottles, and carry your trash back to a big city where it can be disposed off consciously. Can I go back and eat all that again? Have you had any artistic travel experiences or encounters in Kerala? I was invited on my trip along the River Nila by The Blue Yonder; an eye-opening experience! I wrote this post in collaboration with Cleartrip. Join The Shooting Star on Facebook, Twitter and Instagram for more alternative travel experiences around the world. These are interesting places! Great pics and post! Thanks Leen! Quite an experience! It all looks so beautiful! The scenery, the people and the food. Those are some great suggestions. Thanks for taking us off the beaten path in Kerala! Thank You so much for such detailed info. Kerela and to be able to write your own experience is a dream. The way you have portrayed and told the stort in a process anr steps is beautiful. I am compelled to follow this as my guide next time I am in Kerela. Many Thanks Shivya, you definitely inspire. I can see the old heritage of kerala from your eyes & words..
I’m glad you can, Dipika. What a unique part of the country! I am from Kerala and i know about its natural beauty specially during monssons. Sadly I have visited only the touristy places like munnar , allepey etc. Thanks for this beautiful post. So much more to discover in our own backyards! Malayali men take the international gold medal when it comes to ogling/starring at Women [indian/foreign]. What safeguards are necessary to make them go away? have you experienced this? I have definitely had my Malayali friends warn me about it! But I’ve never had trouble or felt unsafe in any part of Kerala (I’ve travelled solo in the north, with friends in the south/centre). Smile and the staring goes away, always! Wow. It’s so beautiful, Especially the expression of a girl from Nangiar Koothu is awesome. The food looks amazing. I love your story of the ex-sand smuggler. What a great way to experience the world! thank you for the wonderful write up and pics…only correction if i may….the language is malayalam…not malayali.. “(Malayali for “no meat, no fish, only vegetables)”…Malayali is infact refer to a person whose mother tongue is Malayalam…. Nice post! Would love to hear the percussion music. One correction – “Malayali for “no meat, no fish, only vegetables”” – It’s not Malayali; it’s Malayalam that’s spoken in Kerala. Malayali is one who speaks Malayalam. I’m very surprised that after travelling in Kerala, you’ve got that wrong like some random people!!! What a beautiful post, you’ve outdone yourself. And the subject matter is obviously very worthy of your talents too. Wonderful insight into Kerala,which I never knew being a malayalee. Kerala is the where nature meets you. I love the Kerala. Thank you for sharing such an amazing pics of Kerala. Thanks for sharing great, inspirational and very informative travel story. I’m fan of Kerala. 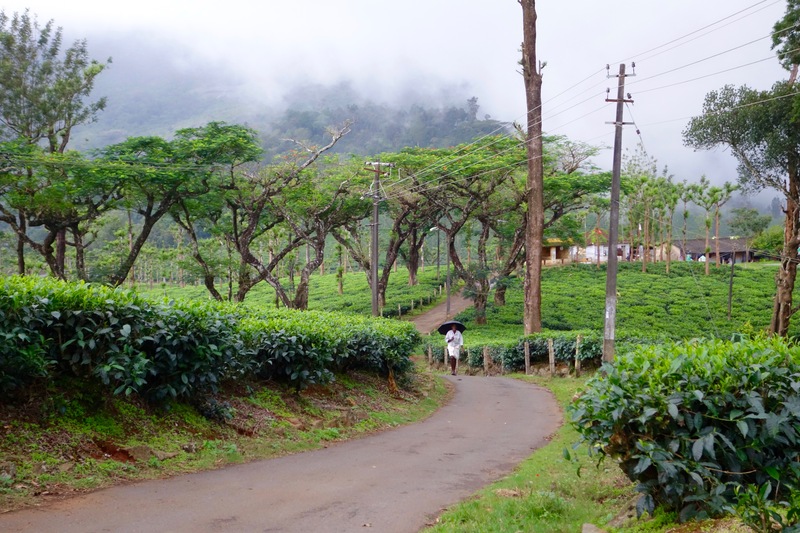 My favourite is Munnar. http://www.cheapairticketsclub.in/ Visit to save on your flight bookings. Been several times to Kerala went explored to such an extent, will surely list it on my bucket list and travel with Blue Yonder. Thanks for sharing your wonderful experience ! That was kerala in detail. Must go there. Amazing… Great pics and writing.. Indeed a wonderful experience to read this piece of article. Stunning experiences, each one of them. What an enriching journey this one must have been! Its awesome how you manage to put things into words. The article is well written and kudos to the author. Ramasseri Idli at Sree Saraswathy Tea Stall was something new to me; should try it next time when going to Palakkad. your words, “I had no idea what it meant to call a river “alive”.” strikes many chords.. well it’s rare these days to see a river alive through all seasons. Hope you would have heard of #RallyForRivers campaign in India.. Can you do something through your blog for this cause? Previous PostWhy North Wales Blew My Mind. Next PostAn Open Letter to Indian Parents: Let Your “Kids” Travel.